Natural Flooring Solutions is a company based in Manchester City centre who offer floor sanding and serves the whole of the Greater Manchester and North West areas. We specialise in floor sanding & restoration of high quality wooden floors. We undertake work for both domestic and commercial clients. We use only the very best quality products and materials. We use only professional wood floor finishes from companies such as Bona, Junckers, Ronseal, Osmo and Blanchon to ensure that you have a high quality hardwood floor finish. They’re qualities that any well cared for floor should have. We use a range of high quality equipment to sand, smooth and finish your floor, coupled with a range of oils and lacquers that are chosen specifically for your type of wood grain. 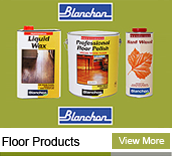 We provide an extensive range of flooring products including laquers, oils, stains, cleaning & maintenance products, resins, fillers, blade & abrasives. Natural Flooring Solutions is a company based in Manchester City centre and serves the whole of the North West. 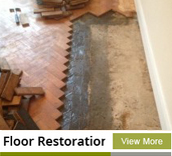 We specialise in floor sanding & restoration of high quality wooden floors. We undertake work for both domestic and commercial clients. We use only the very best quality products and materials. Natural Flooring Solutions is a company based in Manchester City centre and serves the whole of the North West. We specialise in floor sanding & restoration of high quality wooden floors. We undertake work for both domestic and commercial clients. We use only the very best quality products and materials. Natural Flooring Solutions is a company based in Manchester City centre and serves the whole of the North West. 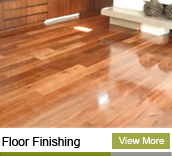 We specialise in floor sanding & restoration of high quality wooden floors. We undertake work for both domestic and commercial clients. We use only the very best quality products and materials. Natural Flooring Solutions is a company based in Manchester City centre and serves the whole of the North West. We specialise in floor sanding & restoration of high quality wooden floors. We undertake work for both domestic and commercial clients. We use only the very best quality products and materials. Natural Flooring Solutions is a company based in Manchester City centre and serves the whole of the North West. 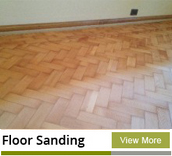 We specialise in floor sanding & restoration of high quality wooden floors. We undertake work for both domestic and commercial clients. We use only the very best quality products and materials.